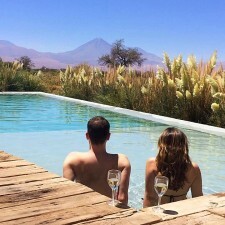 We pulled up late in the afternoon to the Tierra Atacama Hotel in Chile’s Atacama Desert, surrounded by a stunning and strange landscape. It was otherworldly – somehow simultaneously both barren and vibrant. 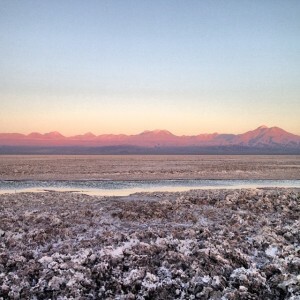 The Atacama Desert, a plateau just west of the Andes Mountains, is the highest, driest non-polar desert in the world. 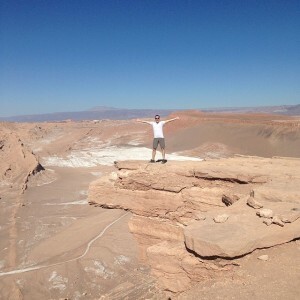 With so much to explore in Atacama, we jumped right in cautiously, as the elevation was so high. We took a bike ride through the town and out to the nearby salt lake. As we eased our bodies into the water, we found that we could effortlessly float. There was such a high density of salt and other minerals in the water that it was almost like a spa treatment. Along the way, we spotted Rica Rica, a strong aromatic herb used to season local cuisine, dotting the side of the roads. 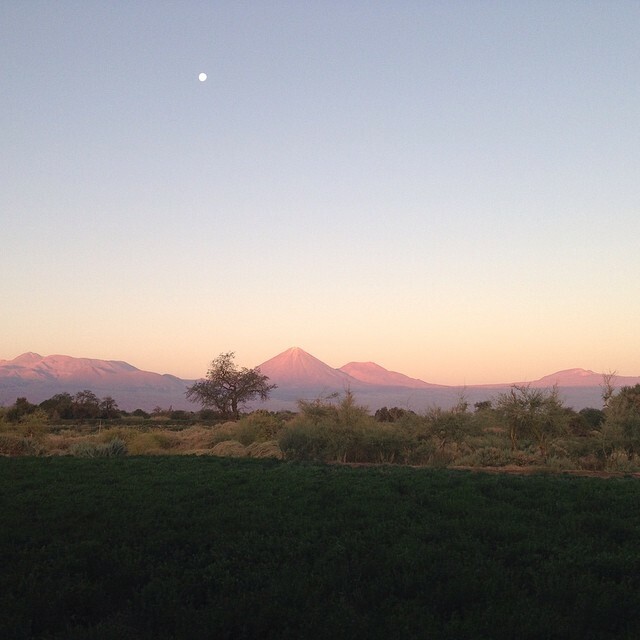 Once back at Tierra Atacama, we enjoyed dinner and the bartender made us Pisco Sour cocktails, enhanced by his use of the herbaceous Rica Rica. 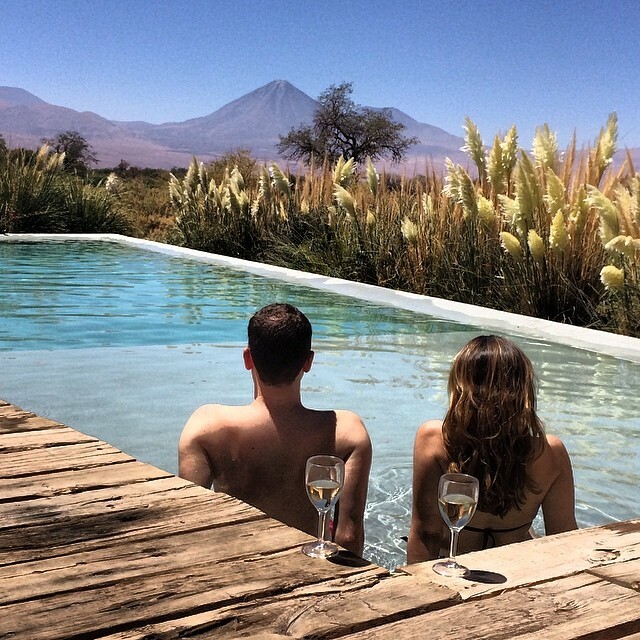 We sat with our drinks and admired the beautiful views of Lincancabur volcano under an endless blanket of stars. Later, we had an opportunity to explore Death Valley and Moon Valley, named for their impressive rock and sand formations, and a mass of salt deposits from the glacier’s movement, making the area reminiscent of the moon’s surface. Salt crystals and crevices of salt built up, revealing paths where the indigenous people of the area had walked trade routes for centuries. At Salar de Atacama, the National Flamingo Reserve in the Atacama salt flat, we walked across the salt encrusted landscape, and watched as flamingoes came and fed on shrimp at the base of the mountains. 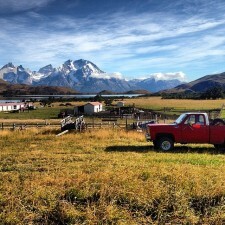 The views of the Andes as the sun set, was truly amazing. Awash in pinks and purples, it was truly magical. 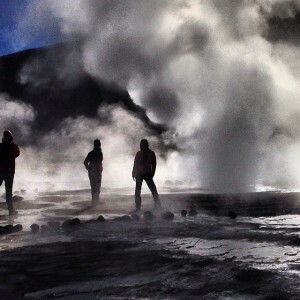 Early in the morning, we drove to the El Tatio Geisers, which are located at an altitude of 14,190 ft. (4300m), and watched as huge steam columns rose almost 40 ft. into the air. At that level, our bodies felt heavier, and we began to move slower. 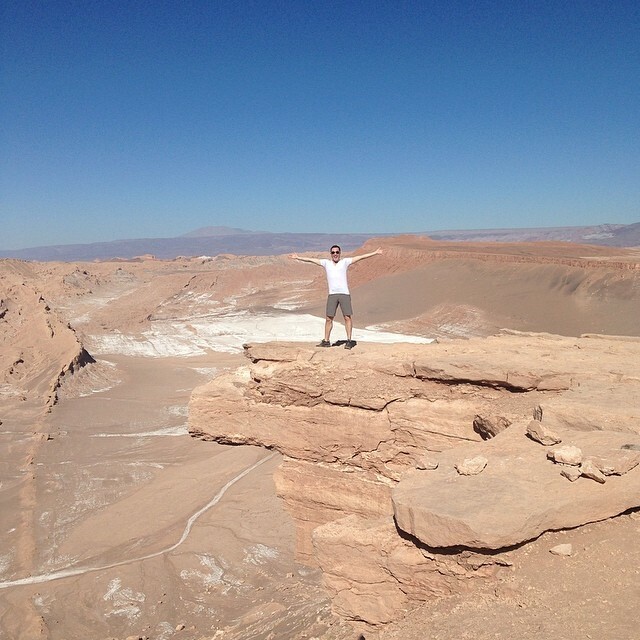 It was, no doubt, the effects of the high altitude on our bodies and minds. 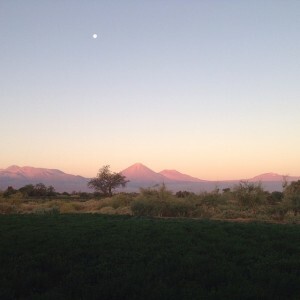 Our final evening in Atacama, following dinner, our hosts also took us back to Death Valley for a campfire. There under the twinkling blanket of infinite stars, we enjoyed wine and recounted stories from our time together. What an exhilarating and serene close to a remarkable stay. 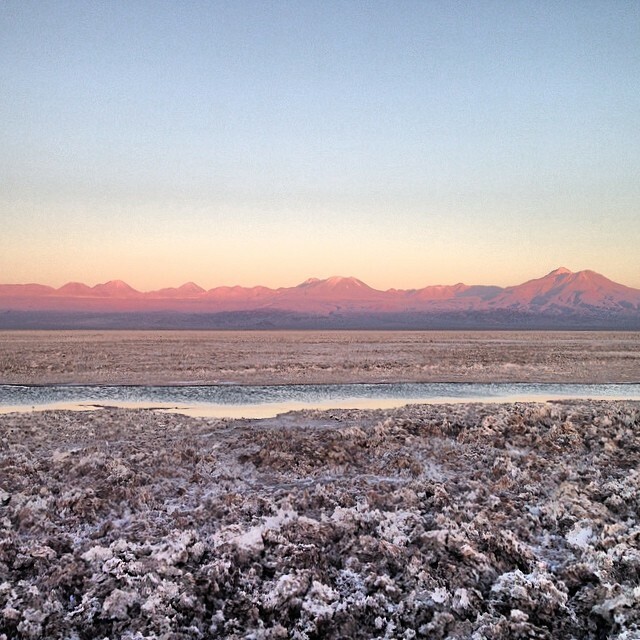 To experience the scintillating pink and purple landscape of the Atacama Desert yourself, please contact The Accomplished Traveler at 212.586.2020.